Is Goal Achievement is Like a Weapon System? No one is more excited when a new productivity book comes out than me. But I understand not everyone is obsessive about the same things. Thus, I’m introducing a new tool that you can add to your arsenal, so when life modulates you are ready. But let’s step back…Quiz time! What is this? This is not a weaponize R2D2, but it is a robot. 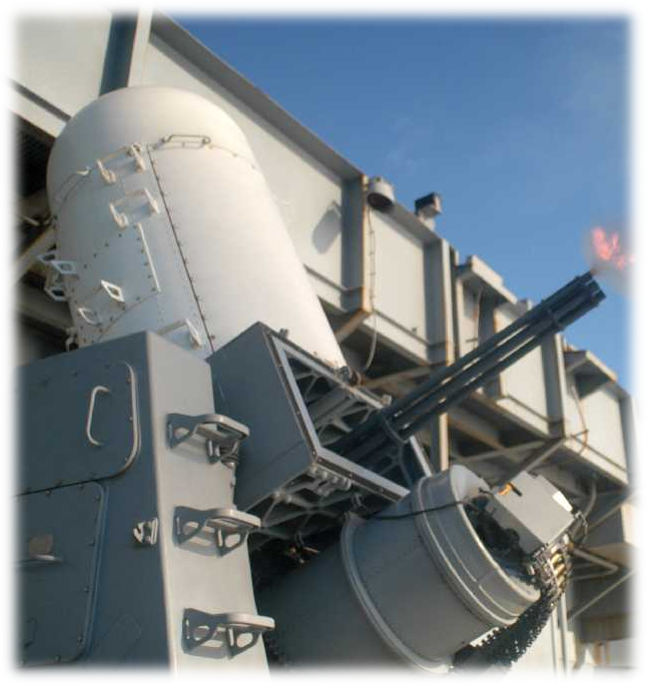 This is the Phalanx Weapon System, or known as CIWS ( close in weapon system). I used to work on this system when I was in the Navy. It’s mission is to defend ships from being pummeled. Its called a “terminal defense” system since if it fails, your goose is cooked. Last line of defense. CIWS is a fully autonomous weapons system. It has a search and track radar and a sophisticated computer system to determine valuable targets. Then it throws depleted uranium rounds in the air at around 50 rounds per second. Per second. This is the process that CIWS goes through, and it provides an interesting metaphor for our lives. Are we not always searching, tracking, and engaging? I certainly hope you are! The issue is that life comes at us fast, and often we’re not prepared. And who, other than the obsessive few, have time to read the deluge of books and articles and watch the videos and listen to the podcasts that could help you prepare for life? Introduce SparcCards© – ta da! Cue the fanfare! SparcCards are designed to help you through this process. They’re based on the burgeoning fields of Positive psychology, Agile, Lean, Performance management, Appreciative inquiry and beyond. Each card will be distilled awesomeness focused on techniques that will allow you to vary your approach if you get stuck. For example, Journaling is a good example of a Search SparcCard – you can journal to see what your hopes and dreams are, etc. Well, many of us cannot or do not maintain a journal. What will they do? They’ll need different techniques based on an individuals personality and their situation. There are, for now, two types of cards – Search and Track. Search cards enable you to scan the horizon of your life and find targets in 360 degrees. These cards will then connect to Tracking cards, which, once an opportunity has risen in your priority matrix, you get serious about it. These cards will be more about implementation and habits and such. In CIWS, you would be switching to a radar that shot out a tiny, pencil thin beam, so you have little ambiguity about the incoming target. You have all the details, and you’re ready. Then you engage, putting the target into the LifeSPARC process and making it happen. Recently I did a presentation and video on this topic, which I’ll be posting here in the next few days. But until then, here’s a few of the Sparc Cards, totally free of charge. They’re intended to be printed, two to a page. More cards will be coming in the near future. If there’s some work of self improvement that you think would make a good target for a SparcCard, let me know in the comments below.